I thought maybe it was because life with a one-year-old toddler at home means books are of the board variety, and every story hassss to have some interactive quality, pop up, pull out or peekaboo feature, but then I realized that, no, I’m partial to 3D tales because they’re just the best. There’s a certain kind of feels a person gets when they open a pop up book, and I can witness it in the way my son’s eyes twinkle when he turns the pages. It’s pure joy, and it isn’t only felt by the tiny ones, it hits us too! Well, Lovepop Weddings knew how to bottle up that excitement and let everyone share in it with a new wave of wedding invites that have ALL the personality. They sponsored this post to give couples getting married a great way to get their guests psyched about the day. But I’m in the minority with my harmless, yet sappy invite hoarding ways. Most of my peers just hold the fridge real estate open until the wedding comes and goes, and then the magnets come off and the invites make their way to the recycling 😧. Lovepop is determined to put an end to that. And with my sentimentality and nostalgia over nuptials, I’m pretty sure I’d be opening a Lovepop Weddings invite and getting it mounted if I had my choice. So, why are these invitations adored so insanely? Check it! 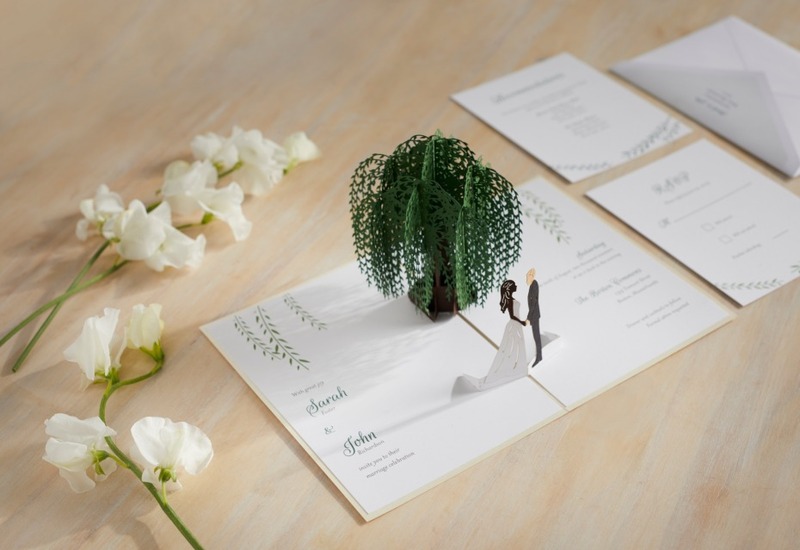 Lovepop Weddings offers personalized, handcrafted wedding invitations. Every Lovepop creation features unique, 3D elements designed to bring your story to life. With hundreds of scenes, colors, and options to choose from, your invitation will capture the essence of your celebration and let your guests share in the magic moment. There’s seriously nothing like opening a Lovepop invitation for the first time. From the moment the surprise is revealed, your guests don’t just get a glimpse of the wedding to come, they get a keepsake that builds anticipation and excitement for the day and can be cherished long after. It’s kind of like this… but not really. Your part is so easy! The Lovepop Weddings Design Studio will help you design invitations that tell your original story. All you have to do is provide your wedding details, select some visual inspiration from LP’s mood boards, color palettes, and more, and they’ll handle the rest. You’ll even work with your own wedding concierge to ensure every step of the way is stress-free and seamless from start to finish. Whether you need to make adjustments to your order or put in a special request, you can trust in your Lovepop person to keep you in the loop. And you can do it all over 📞💻📱. And you don’t have to go broke, either! Lovepop invitations are a premium experience, from quality materials to innovative laser-cutting techniques - all guided by design consultants and assembled by hand. It’s not just invitations and elegant envelopes, you can get response (already stamped with postage for the return) and information cards for an additional cost. And your consults with the experts, final design and proof are ALL included, for freeeee. 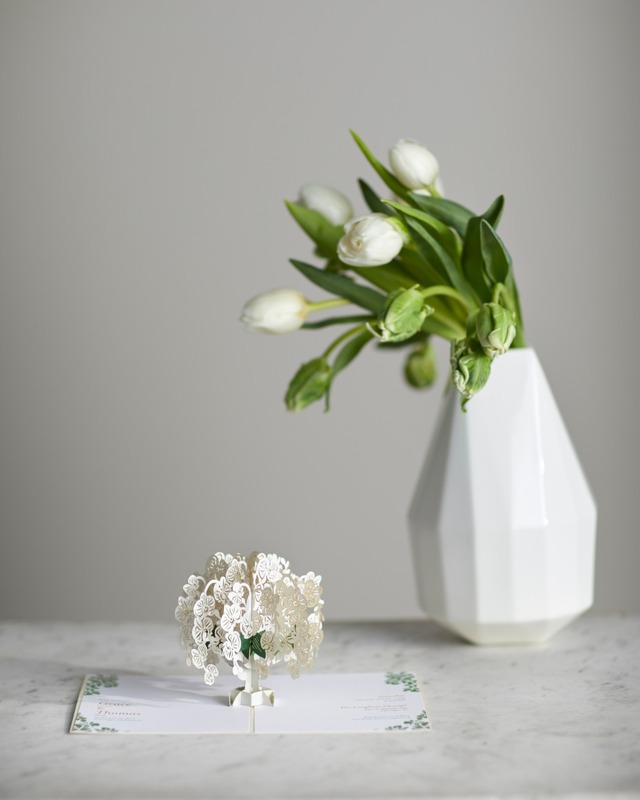 So, even if you’re not sure you have it in the budget to send your guests something like this, request a complimentary sample, page through the pricing options, and work with your concierge to keep the consideration open. These clients have stories to tell for years! And if your grandma is still telling the world how magical your wedding invites were, you must have done something right!! Don’t miss out on making the best first impression - get a complimentary sample now! FOLLOW LOVEPOP WEDDING ON IG TO SEE INVITES SO BEAUTIFUL YOUR DRESS MIGHT GET JEALOUS! 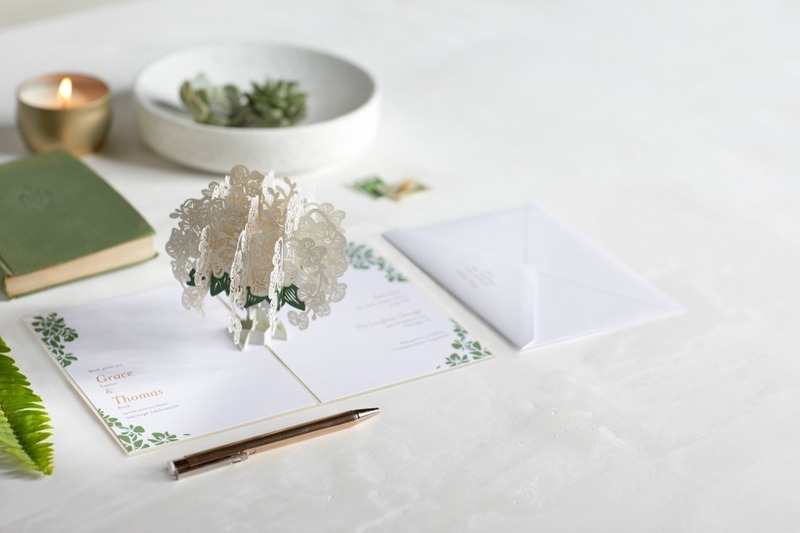 We partnered with Lovepop Weddings to share the best kept secret for keeping wedding invites out of the trash and in your guests’ hearts forever. As always, thank you for supporting our sponsors!